A few days ago when we rolled out the newly designed AiS website, we also updated our forum. In doing so we lost all our previous forum info :( but, now we have a cool new forum! Anyway, MattyB was kind enough to inform us that the registration was not working for our new forum… which is obviously a problem!! Doug has fixed the issue and the registration is now working! We apologize if you already tried to register and were not able to. Now that everything is in working order… feel free to check out the new forum, register and start discussing! I’m headed over there right now to sign-up… no one steal my screen name before I get there! 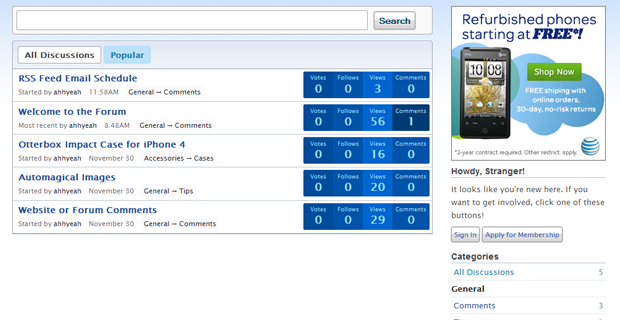 Side Note: You can also view the forum on your iPhone and iPod touch!